The big names we were watching heading into the short sprint prelims on Saturday were guys like Marcellus Moore, Lance Lang, Micah Williams, and Bryan Santos, among others. Enter also Mario Heslop. Boy, did he remind us of his presence. 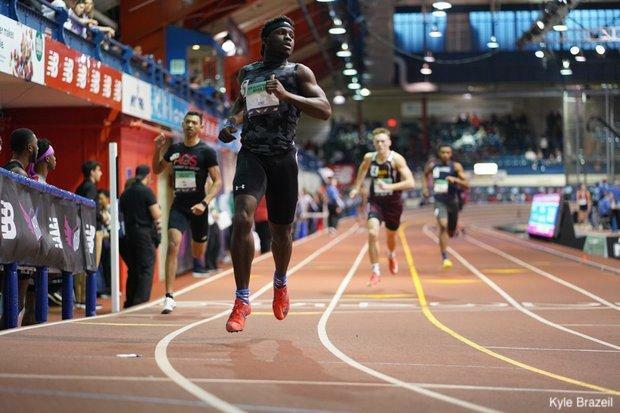 The New Jersey native and sprints phenom opened up his weekend with the fastest time in prelims in the 60m dash in a US No. 4 6.70, ahead of Lang's 6.72. Heslop then doubled back to throw down what would be a US No. 3 behind is 21.11 season best from the Eastern States Championship. His 21.13 was 0.33 seconds ahead of the next fastest qualifier -- Moore -- and has him in the driver's seat heading into tomorrow's finals.